¼ tsp salt Cut melons into small batons. Combine other ingredients and toss melon through. Marinate for 30 mins and drain well. Scatter the ground nori on a plate. Press all sides of the fish fillets into the seaweed and leave to rest at room temperature for 10 mins. Heat a frypan to very hot. Add a little oil and sear fillets for 20 secs on each side. Remove from pan and rest for 1 min. 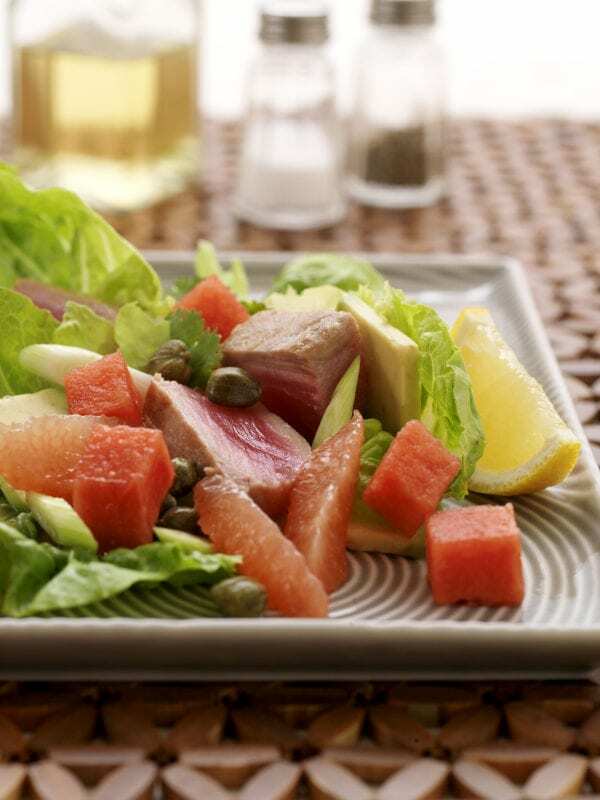 Carve each fillet into thick slices and arrange on plates with pickled melon. Decorate the plate with mayonnaise and herbs.